Year 2011 is coming to end. Looking forward for 2012 to redeem more great deals and exploring new places to dine in.I am really happy and excited as in the month of December 2011, my blog managed to be publish in Foodie Blogroll and also featured in Everyday.com website.I still recall someone in my mind that really encourage me to start this food blog. Special thanks to Samantha my 'Tong Cheh' for this brilliant food blog suggestion, my family members, especially my sis who always gives me positive feedback and guide me how to design the blog. My lovely hubby who supports me..hehe buying all the wonderful deals. yum yum!, always bring me to dine here and there with no complains of the traffic jam, hard to find parking space and also being supportive of my blog. My naughty and cheeky princess for bringing laughter whenever we brings her to dine in.All the spoons, utensils and tissues will be all around the dining table and on the floor. Thanks to my friends that gives me suggestions to improve my blog and spending their time for viewing it.Also to those online visitors who have visited my blog.Really appreciate that :)Memorable moment when i flash back all the deals that i have purchase so far with my hubby and we discover many new places and we really have great time spending together checking out the daily deals and have a great laugh for all the ups and downs experience we have gone through.Moreover, from my blog experience i have learn to improve my English grammar by browsing through the google and gain exposure from other food bloggers out there.So lets keep on writing on the good food out there to share the experience.Cheers! Tea for Two and Two for Tea, 50% off Traditional English Afternoon Tea Set @ Delicious. Bought this deal for only RM 34.70 instead of RM 59.90. Trying out another 3 tier dessert stand. A very nice and comfortable place for evening tea which starts from 3pm to 8pm. The parking will be at Marc Residence and we are given two hours of complimentary parking when dine in here. We can choose the dessert or cake of the day display at the counter and depends what are the choices that are available. Black Forest in a glass.This is my favorite. Loves all the chocolate topping on the top and deep inside, there are chocolate cake, with sweet berries and cream and the bottom part is full of chocolates! We get two scones only and its nice to dip with chocolate and the cream.The strawberry is very sweet and fresh. The rosemary cookies is abit weird taste for me. Chocolate truffles is my favorite.I am truly a chocolate lover and i hope they can give me refill of the chocolate dip. Yummy! Finger Sandwiches and Duck Confit in Filo Pastry. The ingredients for the sandwiches are tuna, eggs, and smoked salmon with wheat bread and plain bread. The bread is not soft enough and i rate them only 5/10. Ordered tea for two person and can be refilled. Complimentary parking for two hours.Need to pay at Marc Residence in Concierge lobby area. Cozy and quiet place with good customer services as well. I still prefer G Tower (The Lounge) for the 3 tier dessert. RM2.90 for Oloiya Dried Meat Bun (Dried Meat + Chicken Floss + Vegetables) @ Oloiya, The Gardens. I always pass by this place and wondering how good taste is this dried meat compare to other brand. 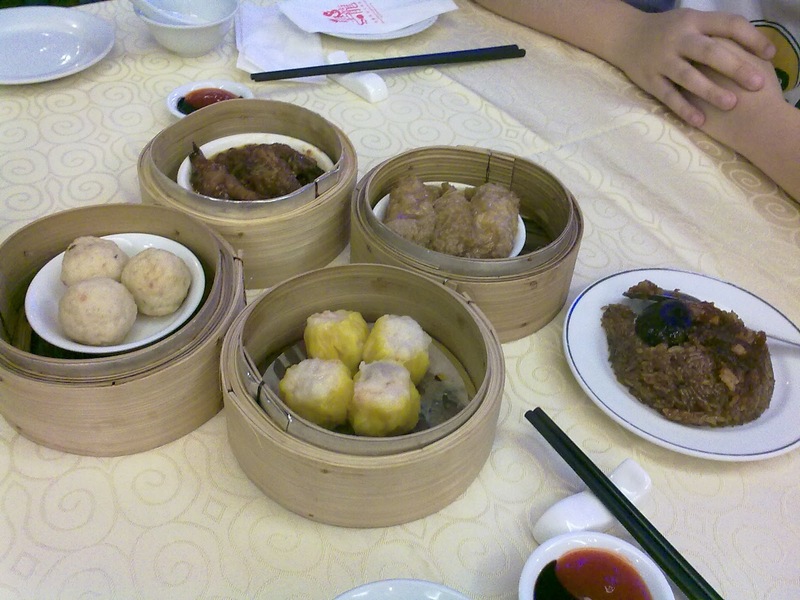 After i have tried it, i find that there is not much difference from what i have taste before.The portion (the bread and the dried meat ) is only small piece and the i even add more tomato sauce myself.The bread is not soft.In my opinion, those dried meat bun in pasar malam and morning market is much better than this. COMEBUY OPENING SPECIAL] Quench Your Thirst This Xmas Week! With Any 2 Refreshing Taiwan Bubble Milk Tea For RM4.80 ONLY! @ ComeBuy Mid Valley. This deal is only redeemable during 23-31 Dec 2011. The location is at Midvalley Ground Floor (outside the Midvalley Mall). Just located beside Delicious. This voucher is only for beverages price range from RM 5.90 and below. The concept of this deal is like having buy one free one promo on opening day. ComeBuy is famous in Taipei and now we can enjoy from different wide of beverages and juice to choose from.There are milk tea, green tea, black tea, cocoa, chocolate,juices and smoothies. I have choosen Mango Yogurt Drink (Medium) and Bubble Milk Tea (Large) without ice.If you want to add pearl for the juices , need to add another RM 1. I rated this two drink as average drink compare to the beverages and milk tea i have try in Share tea @ Sungai Wang. The drinks are not too sweet. But the taste is just normal for me. Anyway now is the trend everywhere with lots of brand and beverages choices that advertise themselves as famous in Hong Kong and Taiwan.But the quality of the drink does matters. Enjoy your meals with Live Performance! Grab 1 Main Dish + 2 Appetizers + 1 Fresh Drink + 1 Yummy Dessert FOR ONLY RM19.90 @ Live Music! from Everyday. Located at Menjalara Kepong, is easy to locate and the place is clean and comfortable.There is no live music yet when i arrive at 7pm. It only started at 9.30pm. A very relaxing atmosphere and good service from the staff.There are actually also selling mix rice outside their corridor. Really making good business. We can choose from the following list. I have order carrot juice and the mushroom soup dip with the freshly baked garlic bread is really delicious. Garden Salad with thousand island dressing for my appetizer.Well chopped with small pieces of vege and tomatoes. Our choice of the day - Maryland Fried Chicken Chop. My favorite salad dressing with crispy and tasty fries. And of course the boneless fried chicken-deep fried breaded chicken is truly an aromatic. Some place they will serve banana fritter. But here they given us a sausage. I will definitely dine in here again with my family and will try out other great western menu available here. Surprisingly, my colleague told me that there is free credit given to all Dealmates members.When i check it today, my account was credited with RM 20 while my hubby have RM 25. So guys go and check your account to get those free credits to enjoy more deals! Good day ahead! but to my dissapointment, i realised the merchant have given me the wrong dessert without i realising it until i came back and go into your website to check on the picture.When i ask the staff, they said yes this is the dessert. Good day! Thank you for supporting MyDEAL.com.my! Regards to your email below, we regret to inform you that we are not able to give you a refund as you have redeemed the vouchers and eaten at the restaurant. The value you have redeemed is over RM27 at the great price of RM10.90. If you did not redeem the voucher because of the wrong dessert than we would have consider about this issue. Sorry for any inconvenience caused , next time in the future kindly inform the outlet if any of the orders are wrong. Please do not hesitate to contact us if you have any more questions. Thank you. how do we know when we will get the wrong dessert on the spot? we expect merchant to provide us the right menu on the deal purchase! after we came back and check your website only we realise it. Regards to your email below, please kindly be informed that the deal is strictly not refundable and exchangeable. The customers must be aware on the food they are taking in the restaurant when they using the vouchers to redeem the food. We are not able to blame the merchant in this case since you did not complaint or notify the merchant during they serve the food to you. The merchant receiving a lot of customers and they are tend to forget the type of dessert that they should provide, it is the customers responsibility to make sure that they are receiving the correct food. Complaints after the redemption is strictly not entertained. In the future please be aware whether the food is served correctly or not and if there is any problem, please do complaint on the spot and do not redeem the voucher! The food which is served was accepted by you without any issue in that restaurant and it is not fair for our partner if we refund for the voucher which is already redeemed by the customer. No matter which deal is that, if there is any problem, complaint will only entertained if the voucher did not redeemed by the customer. So that's the email link. The last email is really offending and seems like blaming all to customers side.So what else can i say? The very last time which i still remember i can get full refund with any dissatisfaction but now there is no longer protection and guarantee to the food and services which i am going to experience.Just be smart next round! Good Luck to all! From this few months experience that i have encountered, mostly all online deals are not refundable.Those are My Deals, I Love Discount, Dealmates and WeBuy. Currently, the most impressive deals i can think of in terms of customer service is Jack Cow. But as you can see Groupon, they always publish in their website and even in newspaper that they guarantee customer will 100% promises for full refund and dissatisfaction.But i am not so sure how true it is . Because i really lost confidence to purchase those online deals unless the deals is really worth the value and not too expensive.As i can imagine, if i am not satisfy with the food and services, i will have no where to get my rights and my complains to these online companies.They will require us to deal direct with the merchant. But what if merchant also cannot give us a full refund? They will insists and will just earn the profit.They will not accept our complains and there is nothing to be done.That is so far i have experience before and i am also really upset with the online companies (customer services dept) who doesn't pick up the call and check their email. Some even are rude when replying the email blaming us customers! Where is our rights?! RM7 for Johor Laksa or Mee Rebus Johor + Cucur Pisang + Cash Back Card worth RM10 @ Heritage Food, Bangsar KL from WeBuy. We reach early at 11.30 am for our lunch and we are the only customer there. But to my dissapoinment again, they said the laksa johor is not delivered here yet , so they only have mee rebus. So i also ordered another side dish of toast bread for my little girl.To my shock they given me a overburn toast bread.I was really surprised ! This is how toast bread looks like? I ask them to give me a new toast bread instead. The mee rebus taste is just nice for me but the weird thing i observed is the gravy. To my horror, my husband just realised we are having a beef mee rebus. As we both are not supposed to take any beef, but we have no choice but to dig out all the beef meat. I never expect that in mee rebus they will put in the beef meat. We should have read the menu or ask the waitress at the first place. But it was also not written in the website deals or vouchers that this mee rebus contains beef meat. Not even the waitress to remind us or inform us on that! 50% OFF: Restaurant 3JC Signature Curry Noodles + Chinese Tea for 2 pax at RM14.90nett instead of RM29.80. Complimentary: 1X members card with discount vouchers and free gift. Redeemable at 5 convenient locations.I have choosen Sunway Pyramid to dine in. The curry noodle taste is really good.Not too spicy and the ingredient is same as advertised in the website deals.I love their homemade noodle. Satisfying lunch! 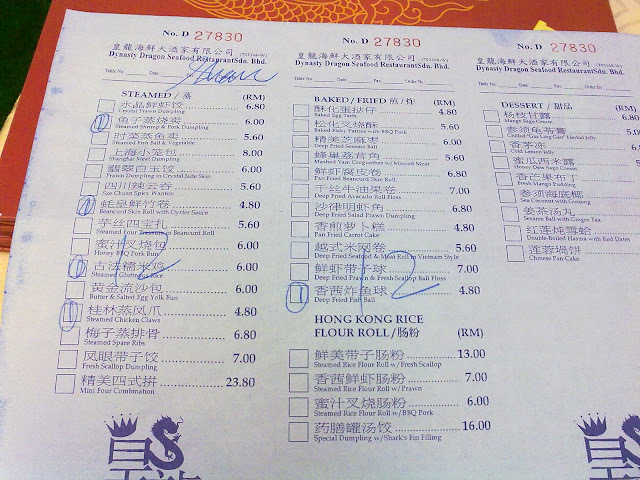 I have ordered wantan soup for my girl for RM 4.80 only without tax. I also entitled for 1 year membership card which i can get discount for my future visit and they give some cut out coupons that valid only until 31 December 2011.